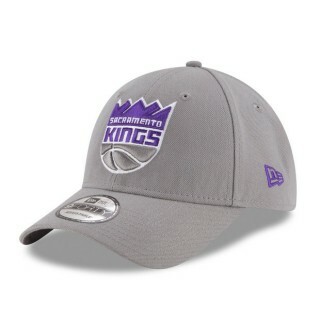 Sacramento Kings New Era The League 9FORTY Adjustable Cap . The 9FORTY silhouette is a six panel adjustable cap, with a structured front. The crown is contoured to the wearer’s head with eyelets on all panels. The Gorra has eight rows of visor stitching on a pre-curved visor.